If you Google ‘starting a blog’, you are sure to come across the well-cited ‘fact’ that most blogs do not last longer than 3 months. There are, ironically, countless blogs detailing how to be a good and successful blogger and I read lots of them before starting my own. One piece of advice that appeared repeatedly was to read other blogs on your chosen subject. So I started reading. There are a plethora of geocaching blogs out there and lots of really good ones too. One that I stumbled upon early on, and have been following ever since, is Paul Weston’s great site. There was a single paragraph in the book about geocaching being like a scavenger hunt that you use a GPS device to play. Being a very techy person, this piqued my interest and I immediately looked up geocaching.com on the internet. I became drawn in to the magical world of secret hidden containers almost immediately. We went looking for our first cache the very next day. We didn’t find it, but I was excited enough to want to try again. 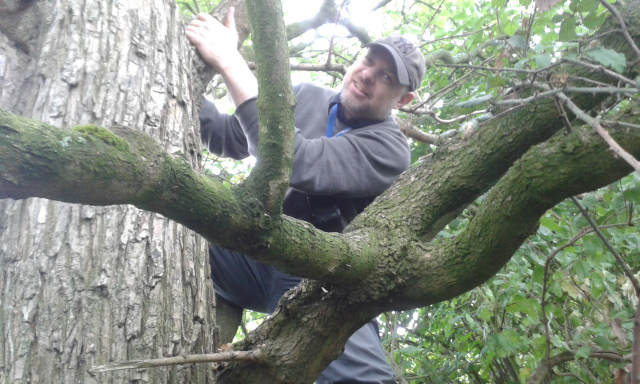 Paul in the geocacher’s natural habitat: a tree! The family love to go on geocaching adventures in the woods near where they live, and Paul equally enjoys snapping photos of their escapades and blogging about them. Paul’s bio on his website states that he loves techie things, geocaching and red wine. Oh and he’s blind. 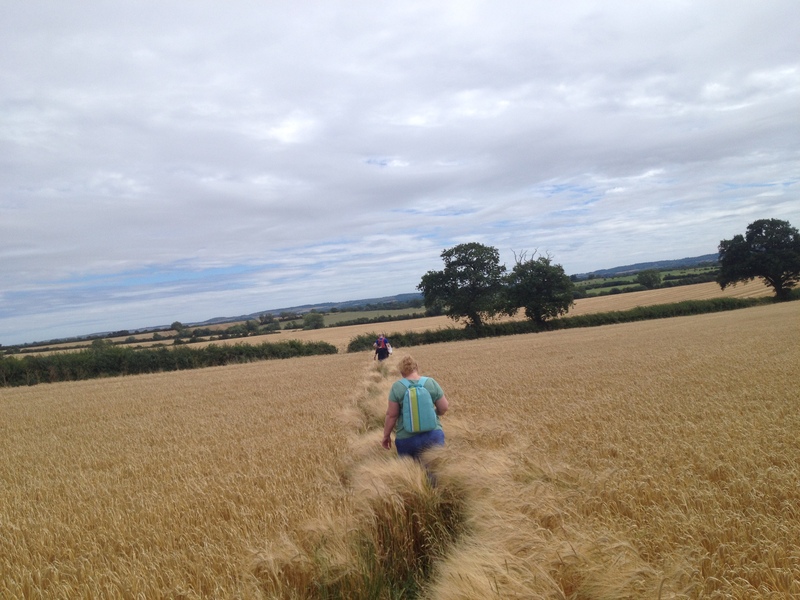 If you read Paul’s blog, Washknight – Geocaching Blind, you’ll discover it is first and foremost an assortment of entertaining, journal-like entries on the family’s geocaching exploits, including the ‘geodates’ he goes on with his other half. He also does a great job highlighting the best of the geoblogosphere, listing all the posts he found enjoyable on a regular basis. Secondarily, he talks about being blind, sometimes giving tips for other blind geocachers. So how does geocaching blind differ from geocaching sighted? Every geocacher worth their salt knows that preparation is often integral to a successful day of caching. Paul uses geocaching.com to do all his logging and create pocket queries. The website is made accessible using a program called JAWS (Job Access With Speech), a screen reader that tries to convert any text it finds on the computer into speech. For things like emails and word documents it works brilliantly. For simple websites that don’t use funky scripting and aren’t packed with lots of images, it also works too. For the geocaching website it is a dead loss for trying to use a map to locate caches, but if I know the GC code then I can look the cache up, read all the description, logs etc. I do also use project GC from time to time and that is sort of 50% accessible. 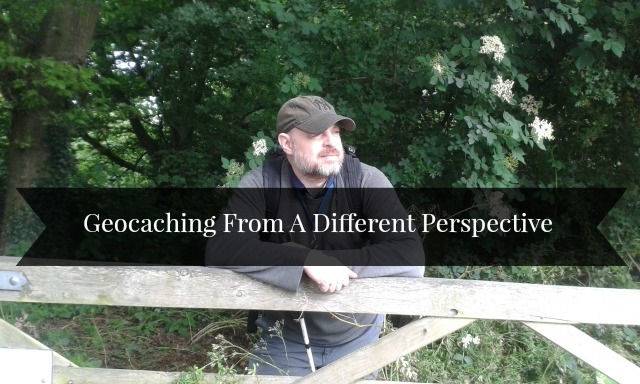 When it comes to actually going geocaching, Paul currently uses the Geocaching Classic app and like a lot of cachers, he’s not looking forward to the prospect of switching to the newer Geocaching® app. [it] worries me massively that it won’t be accessible. I have a feature similar to JAWS on my iPhone called Voiceover, all Apple products have it, and so that talks to me too. The app is about 50% accessible. I use it with Voiceover turned off under my jumbo magnifier to look at caches on maps and then I turn on the voice to listen to descriptions and logs on individual caches. Unfortunately I can’t use the app to actually navigate to caches as Voiceover doesn’t correctly interpret the information on the compass screen and all I can get is a distance and not a direction to the cache. Along with Geocaching Classic, Paul uses another app called Ariadne GPS, which allows him to import a GPX file of his target caches. The handy app is designed to help blind people navigate between waypoints by reciting directions. It’s not a geocaching app per se, but it does the job for Paul, telling him things like how many metres he is from a cache and giving degrees by clock numbers. While Paul makes the website and apps work for him, he does feel that both web and app developers need to keep in mind people with disabilities when designing their products. He mentions that Apple make available extensive guidelines on how to ensure apps can be designed with accessibility features built in but unfortunately, most developers don’t take this into consideration. Paul admits that choosing which caches to go for requires slightly more consideration but otherwise, planning the family’s adventures involves the usual bookmark lists, pocket queries, planning parking spots and all that stuff that goes along with making a geocaching day as pain-free as possible. Most of the time, Paul caches with his other half, Shar, and his son, Sam. 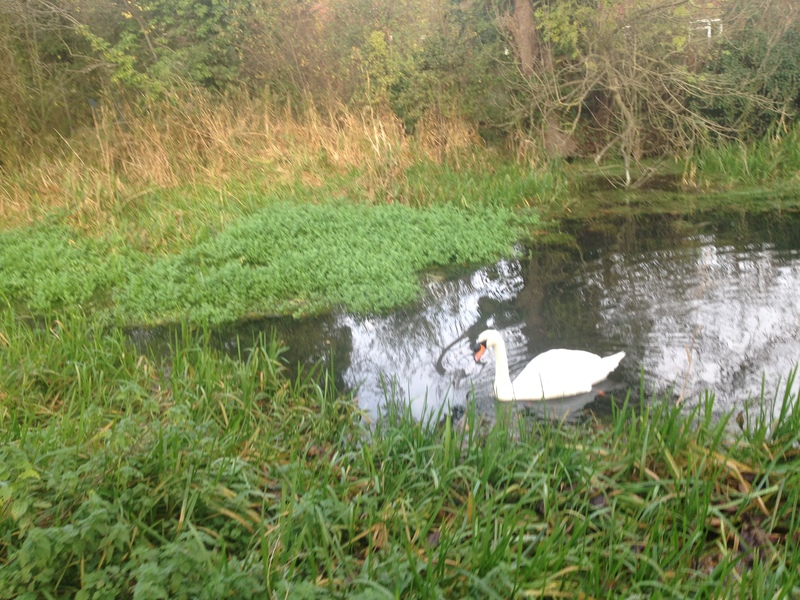 He has tried a spot of caching on his own but it was more of a test to see if he could do it. While he can get to urban caches alone, those caches are not his preferred type, as he goes geocaching “to get out in the great outdoors, not choke on exhaust fumes in Watford town centre.” In fact, caches out in the woods, where they can soak up the clean English country air, are the family’s favourite caches. Mix those caches with good weather, family, friends and laughter and you have Paul’s recipe for the best caching adventures. 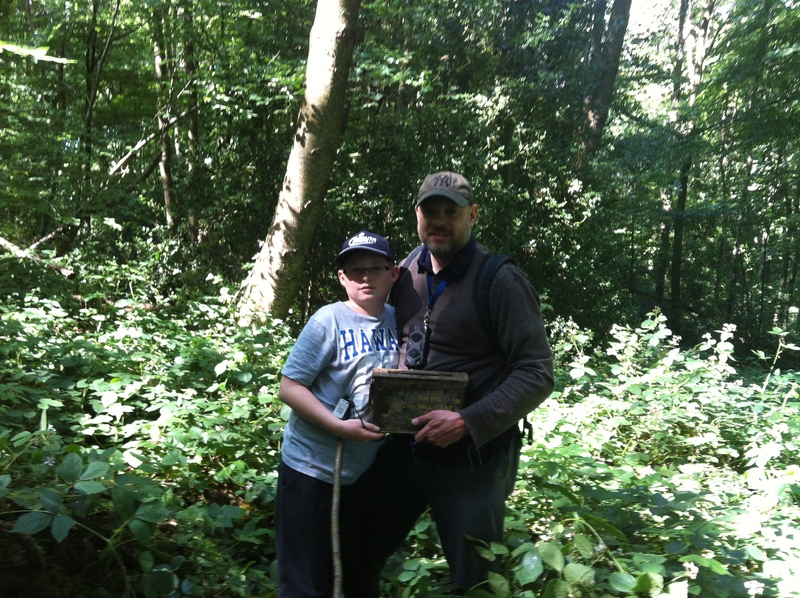 Paul has hidden 18 caches to date, with his favourite being Wall Hall 10 – We’re getting the hang of this! (GC53X65). It seems it’s not only popular with the cache owner, having earned 81 favourite points in just over two years – that’s an impressive 60% FPs per premium log. […] it’s a tape measure cache that I made myself; it is fixed up a tree and you retrieve it by pulling down the tape and then letting it zip back up afterwards […], on the occasions we have to maintain it, we have to go into the woods with a step ladder and this always makes me laugh. As well as writing the blog, Paul also provides most of the photographs too. I haven’t always been blind and so have an understanding of what makes a good photo; framing use of light, depth of field that sort of thing. I tend to imagine in my head what might be a good photo as we walk around. 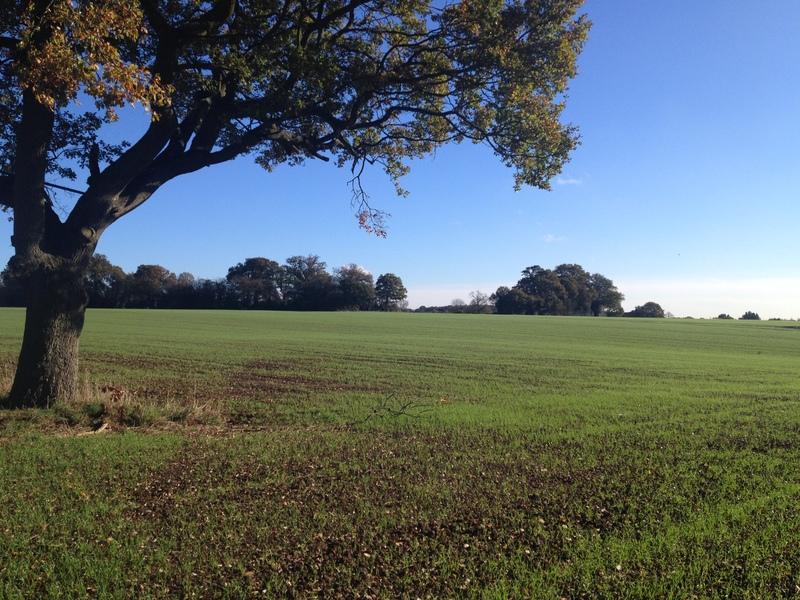 If we are walking through an open field I might just be able to make out the shape of a single tree in the middle of the field and immediately I think that would make a good shot, so then it is just a case of point and click. Sure I point in the wrong direction sometimes but I take a lot of pictures so I get a few good ones amongst all the wonky ones. If I am taking pictures of people I get them to talk as I am aiming and that gives me a good chance of getting them in the frame. I don’t go for too many close up shots as this gives me less margin of error, and I tend to cut off a lot of heads. 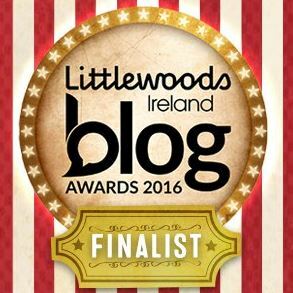 Paul has been shortlisted in The Geocaching Junkie Award for Special Geocaching Achievement category at the upcoming Geocaching Awards. The ceremony takes place after the Geolympix Mega Event in Ashridge this Sunday, 31st July. The nomination took him by surprise. It came out of the blue to be honest. 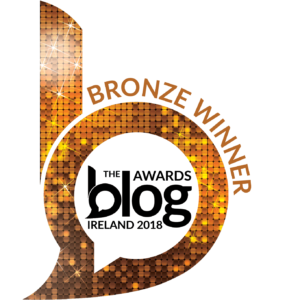 I was kind of hoping I might get a look in for my blog but I was up against some pretty tough competition 🙂 […] I feel very honoured to have been nominated and of course would be delighted if I win it, although I personally wouldn’t vote for me; I’m just a blind guy who likes geocaching. 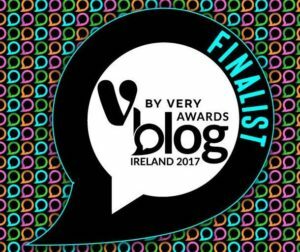 Paul plans on attending the awards ceremony too, so I look forward to finally meeting him and hopefully adding a photo of us together to this blog post! Go with friends, don’t be afraid to get your hands dirty, wear a hat to protect your head and don’t forget a pen, because your sighted friends probably will. A huge thank you to Paul for answering my questions and for providing the photos! Have you met someone inspirational through geocaching? Let me know in the comments! Many thanks to Sarah for inviting me to appear on her blog.